Does Donald Trump favor nuclear proliferation? Saying a nation may benefit from having nuclear weapons carries a different meaning than saying a nation should have nuclear weapons. Fact checkers who do not make that distinction have failed in their fact-checking. Fact checkers from the LA Times and PolitiFact, as well as NPR and the Associated Press, have helped popularize the idea that Republican Donald Trump favors proliferation of nuclear weapons to Japan, South Korea, and even Saudi Arabia. The fact checkers have supported their arguments based on a small set of statements from Trump. The set of four evidences we look at comes from PolitiFact’s Oct. 5, 2016 fact check of Republican vice-presidential nominee Mike Pence. The most prominent evidence the fact checkers used to show Trump favors other nations getting nuclear weapons comes from Trump’s interview with the editors of The New York Times, published on March 26, 2016. Trump was asked whether he would object to South Korea or Japan developing their own nuclear arsenals. And yet again, Trump offers no clear answer. He says North Korea’s possession of nuclear weapons presents a problem, and that it may be better if Japan has its own deterrent. By our reading of the exchange, it concerned a long-term view. We encourage readers to take the time to read the relevant part of the interview. The length of it discourages us from quoting it all, and Trump’s meandering replies make concise paraphrasing difficult. A Republican town hall event in Milwaukee on March 29, 2016 saw Trump giving the same type of meandering answers, affirming his opposition of nuclear weapons and nuclear proliferation while at the same time entertaining the possibility of a future where South Korea and Japan might have their own nuclear weapons. CNN host Anderson Cooper repeatedly pressed Trump on the point, suggesting it was contradictory to oppose nuclear proliferation while seeing a potential positive in South Korea or Japan possessing nuclear weapons. As with the Times’ interview, Trump spent many words expressing himself but without achieving perfect clarity. Therefore, we again recommend reading the full lengthy exchange to confirm our summary version. Trump appeared on April 3, 2016 on “Fox News Sunday” with host Chris Wallace. Wallace played a clip from Trump’s town hall event, then suggested Trump’s policy would result in a nuclear arms race on the Korean peninsula. When a guy like Kasich gets up and talks about, Trump wants to give everybody missiles — I don’t want to give missiles. And by the way, I’d leave it the way it is, ideally. My number one choice is, leave it the way it is, but they have to pay us because we cannot afford to continue to lose the billions and billions of dollars that we’re losing in order to defend Japan and Germany and South Korea and Saudi Arabia. BLITZER: But you’re ready to let Japan and South Korea become nuclear powers? TRUMP: I am prepared to — if they’re not going to take care of us properly, we cannot afford to be the military and the police for the world. We are right now the police for the entire world. We are policing the entire world. A lot of people like to say, oh Trump wants Japan to arm. I don’t want them to arm. I want them to reimburse us for at least the cost. Now you could say it’s worth more than that. But at least reimburse us for the cost. The LA Times and PolitiFact both erred in their attempts to fact check this issue. The Times used an argument reliant on words that shifted in meaning while ignoring contrary evidence. PolitiFact made a one-sided argument supporting its conclusion. The LA Times built its argument by drawing an equivalency between accepting an outcome and advocating that outcome. “He absolutely said that,” Kaine replied. Trump has repeatedly said he was amenable to more nations having nuclear weapons, and that it was inevitable. Is that the same as saying more nations should have nuclear weapons? You want a filet mignon but you’re okay with a sirloin. So what you really want is a sirloin? 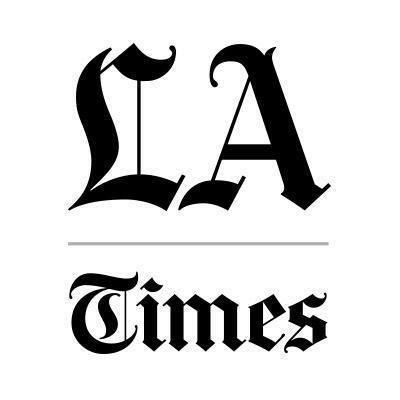 The LA Times passes off the acceptance of a less-preferred option as the preferred option. That counts as sloppy reasoning and fits the pattern of a fallacy of ambiguity. The Times compounds its error by ignoring Trump’s clear statements where he says he would prefer nations pay for U.S. military protection and not develop their own nuclear weapons. PolitiFact achieves a one-sided approach to this fact check by simply ignoring contrary evidence. Pence said Trump “never said” that more nations should get nuclear weapons. Trump has said some countries, namely Japan and South Korea, might be “better off” if they were to develop nuclear weapons, given their proximity to North Korea. However, he has also said — often in the same interview — that he opposes nuclear proliferation in general. We rate Pence’s claim Mostly False. First, PolitiFact established the topic of its fact check: Was it true Trump never said more nations should get nuclear weapons? Second, PolitiFact reviews its evidence: Trump said some countries might be better off with their own nuclear arsenals. As we’ve shown above, saying some countries might be better off is not the same thing as saying they should get nuclear weapons. Third, PolitiFact reviews contrary evidence: Trump said he opposes nuclear proliferation. Fourth, PolitiFact ignores the contrary evidence, finding its weak affirmative evidence strong enough to call it “Mostly False” that Trump never said more nations should have nuclear weapons. The evidence, with context considered, shows Trump saying he favors non-proliferation, but allows that ill consequences for the United States do not necessarily happen if nations like Japan or South Korea get nuclear weapons. As its end result, PolitiFact reinforces the impression that Trump favors nuclear proliferation despite his clear statements opposing it. What accounts for fact checkers focusing on Pence in this exchange instead of Kaine? Did Trump “absolutely” say more nations should have nuclear weapons? The approach the Times and PolitiFact use hints that Kaine’s statement counts as “Mostly True,” the inverse of Pence’s “Mostly False.” But could that conclusion follow, given Trump’s clear preference for fewer nuclear weapons and keeping things as they are? Didn’t Kaine mislead the audience by taking Trump’s comments out of context? Isn’t it a fact checker’s job to point out such things? Our survey found no mainstream fact checker that pointed out Kaine’s deception. FactCheck.org came the closest. Fact checks by the LA Times and PolitiFact served their readers poorly. The LA Times’ headline is true in the context of a plan b scenario. But it leaves the false impression, through ambiguity and the use of quotations taken out of context, that Trump simply favors nuclear proliferation. “Should,” in this foreign policy context, communicates the idea of a best option. Given options A, B and C, the one Trump favors is the one he thinks ought to occur. PolitiFact calls the option Trump does not favor the option Trump favors, which is false. Lacking any justification from PolitiFact for its odd weighting of the evidence leading to its false conclusion, we charge PolitiFact with a fallacy of one-sidedness. Correction Nov. 26, 2016: In the section on PolitiFact’s one-sided approach, we referred to “North Korea” where “South Korea” was intended. Mehta, Seema. “Donald Trump Has Repeatedly Said He Is OK with More Countries Having Nukes.” Los Angeles Times. Los Angeles Times, 04 Oct. 2016. Web. 23 Nov. 2016. Carroll, Lauren. “Trump Lashes out at New York Times with Inaccurate Tweets.” PolitiFact. Tampa Bay Times, 14 Nov. 2016. Web. 23 Nov. 2016. Carroll, Lauren. “At Debate, Mike Pence Claims Trump Never Said More Nations Should Have Nuclear Weapons.” PolitiFact. Tampa Bay Times, 04 Oct. 2016. Web. 23 Nov. 2016. Gore, D’Angelo, Eugene Kiely, Brooks Jackson, Lori Robertson, Robert Farley, Vanessa Schipani, Zachary Gross, Jenna Wang, and Caroline Wallace. “Fact-Checking the Final Presidential Debate.” FactCheck.org. FactCheck.org, 20 Oct. 2016. Web. 23 Nov. 2016. Aaron Blake. “The Mike Pence vs. Tim Kaine Vice-presidential Debate Transcript, Annotated.” Washington Post. The Washington Post, 05 Oct. 2016. Web. 23 Nov. 2016. “Transcript: Donald Trump Expounds on His Foreign Policy Views.” The New York Times. The New York Times, 26 Mar. 2016. Web. 23 Nov. 2016. “Full Rush Transcript: Donald Trump, CNN Milwaukee Republican Presidential Town Hall.” CNN. Cable News Network, 29 Mar. 2016. Web. 23 Nov. 2016. “Donald Trump Fights to Win over Women; Reince Priebus on Possibility of Contested GOP Convention.” Fox News. Fox News Network, LLC, 03 Apr. 2016. Web. 23 Nov. 2016. Robertson, Lori, Eugene Kiely, Brooks Jackson, Robert Farley, D’Angelo Gore, Caroline Wallace, Vanessa Schipani, and Jenna Wang. 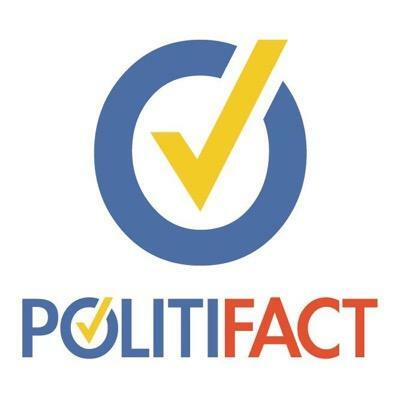 “Fact-Checking the VP Debate.” FactCheckorg. FactCheck.org, 05 Oct. 2016. Web. 23 Nov. 2016. Kessler, Glenn, and Michelle Ye Hee Lee. “Fact-checking the Vice-presidential Debate between Kaine and Pence.” Washington Post. The Washington Post, 05 Oct. 2016. Web. 23 Nov. 2016. “FACT CHECK: Vice Presidential Debate.” NPR. NPR, 04 Oct. 2016. Web. 23 Nov. 2016. “VP Debate Fact-Check: How Mike Pence and Tim Kaine Stack Up.” ABC News. ABC News Network, 05 Oct. 2016. Web. 23 Nov. 2016. Vinik, Danny. “Kaine on the Mark with Assertion That Trump Has Called for Nuclear Proliferation.” POLITICO. POLITICO LLC, 04 Oct. 2016. Web. 23 Nov. 2016. “Facts among Casualties in VP Debate Give-and-take.” CBSNews. CBS Interactive, 05 Oct. 2016. Web. 23 Nov. 2016. “Pence Denies Trump’s Nuclear Views, While Kaine Oversimplifies It.” NBC News. NBCNEWS.COM, 05 Oct. 2016. Web. 23 Nov. 2016.